With summer coming to a close, you should get in all the ice cream you can before the cold weather hits. 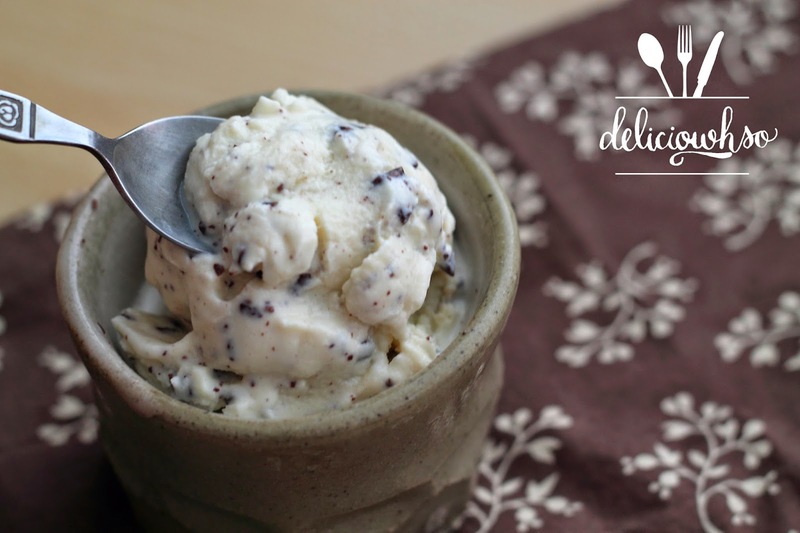 Stracciatella gelato is one of my favorites! It's a perfect way to end the season. I love the creaminess, with the tiny bits of rich chocolate. 1. Heat milk and half the sugar in a medium pot. 2. Whisk the yolks and the rest of the sugar together in a bowl. 3. Place the cream into another bowl, and a medium- mesh strainer on top of that. 4. When the milk is scalding, gently pour into the yolks. 5. Transfer the mixture back into the pot and mix with a spatula or wooden spoon over low heat. 6. Allow that to thicken until it coats the back of the spoon. 8. Allow the mixture to cool completely in the refrigerator. 9. Churn the gelato in an ice cream maker, according to the manufacturer's directions. 10. 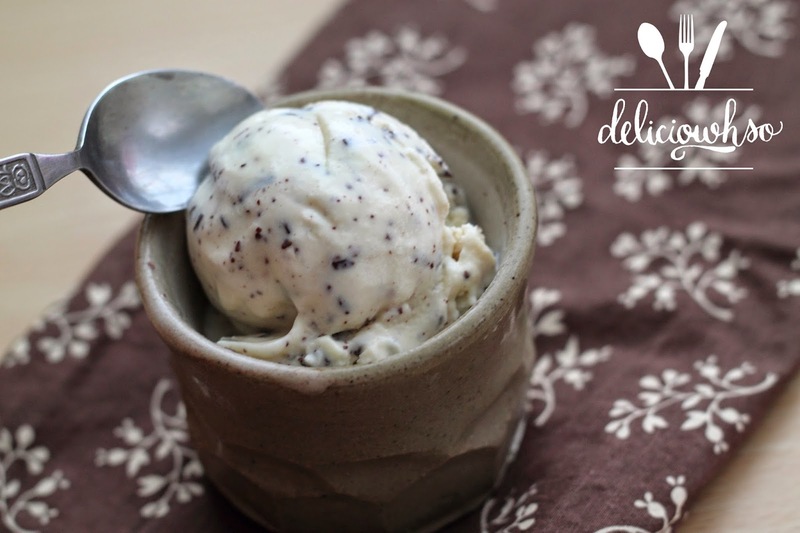 As the ice cream churns, melt the chocolate in a microwave or over a double boiler. 11. After the chocolate is melted, add the vegetable oil to make the chocolate a little bit more fluid. This is especially necessary if you're using chocolate chips. If you're using couverture, this might not be necessary. 12. Place the chocolate into a piping bag or ziploc bag with a very small tip cut. 13. When the gelato is almost completely churned (it will look like soft serve), slowly drizzle the chocolate in thin streams. 14. Allow the thin pieces of chocolate to break up into the gelato. 15. Transfer the gelato into an airtight container and freeze to harden for at least 3 hours. 16. 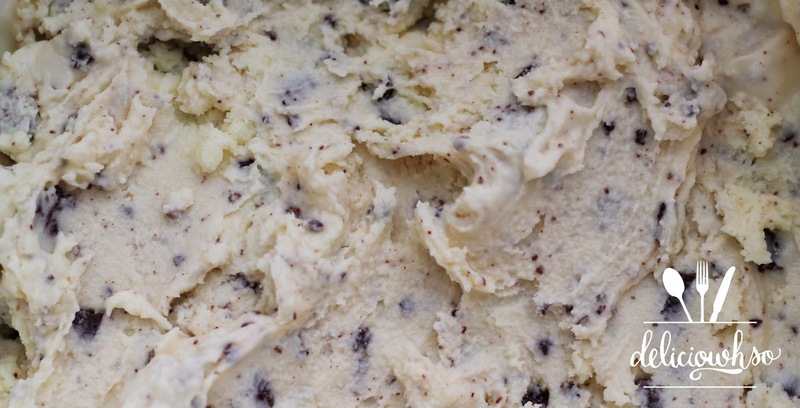 If there are large chunks, break them up with an ice cream scoop, or you can just eat them. 17. Serve in frosted bowls to your friends and family (or for yourself).